Akalaini “Bui” Baravilala is an American rugby union player. She competed on the United States sevens team in the 2016 Summer Olympics held in Rio; her team was fifth overall. She was also a member of the US national rugby union team in the 2014 Women’s Rugby World Cup. 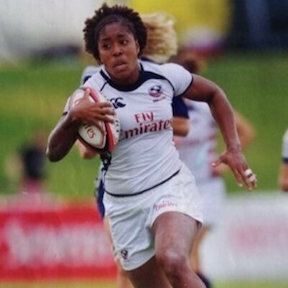 She was named Player of the Tournament at the 2012 Amsterdam Sevens and Guangzhou Zengcheng Women’s Invitational in China. She was born on July 12, 1991, in Honolulu, Hawaii. She played basketball and volleyball at Redford High School and was selected for the Women’s Junior All-Americans. Baravilala is a member of The Church of Jesus Christ of Latter-day Saints. This page was last edited on 26 March 2017, at 13:53.